Soil systems are a complex mixture of minerals, organic matter, water, air, chemicals and biota. The soil has a range of functions, from the recycling and storage of both natural and anthropogenic chemicals to food production or acting as a platform for buildings. Soils can support several functions at the same time but may be damaged by the pressures placed upon them. Sustainable development of the soil resource requires the long-term maintenance of the functions of the soil to be in balance with the needs of society. Insufficient understanding and uncertainty of how soils perform their functions and of processes that govern their formation and maintenance and of the current state, means it is difficult to define what exactly we are trying to protect. 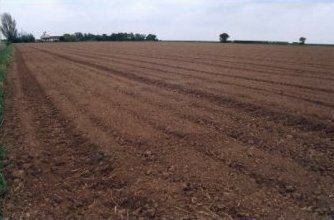 It is possible that significantly degraded soils, whilst currently performing their functions may not do so in the long term. We need to interpret changes in the important properties of soils in terms of their long-term implications and it is inevitable that the uncertainty about the future will feed through into these predictions. Applying the precautionary principle is particularly important for soils where there is limited monitoring data and few reliable indicators of quality or standards against which to assess the data. The use of a matrix approach to illustrate the complexity of the problem and help define issues for prioritisation. The definition of soil functions and properties which require protection for both national policy and local management purposes. The determination of the issues which pose the greatest risk to soil function and ranking them by priority for action with justification. This project was funded by the Environment Agency and several of the UK's leading soil scientists acted as consultants.